Evening Reflection: Oh, how this reading took a turn! 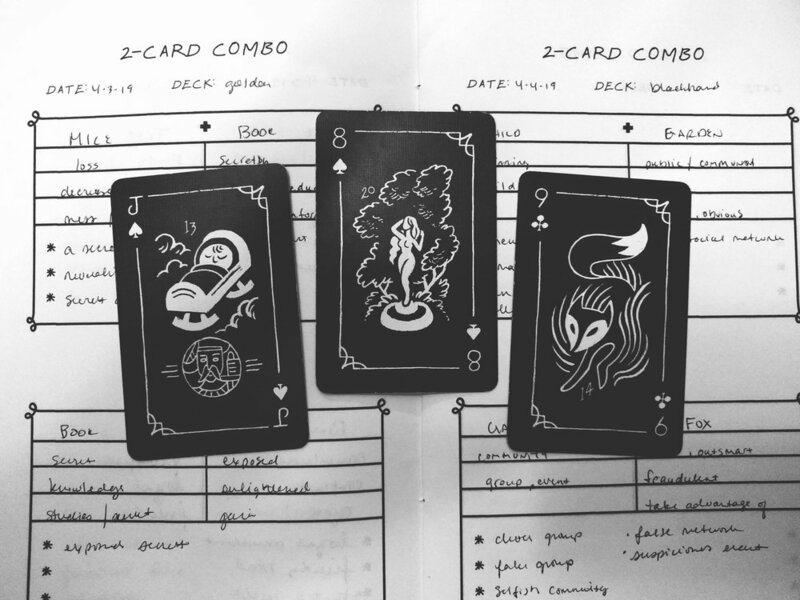 I forget how literally lenormand can be. After I pulled my cards this morning, I was feeling pretty frustrated. You know how you have some good days that have you feeling like you are on a roll and doing awesome? And then, one day takes a total opposite and feel like you know nothing? That was how today was, like I didn’t know what I was doing with lenormand and I was not progressing at all. This feeling with my studies (book) literally gnawed (mice) at me all day and ate away my day. I’m a perfectionist. When something doesn’t make sense, I get frustrated and stress out. So where did the Sun card show up today? This afternoon I decided to resort to my tarot cards to see if they could help me un-frustrate myself. I asked “why am I frustrated today?” and pulled the 8 of Coins. My first thought was “you’re frustrated because you’re so fixed on being perfect and forget that practice makes progress, not perfection” and it hit me! I had an aha moment and instantly felt much better, the frustration slipped right off my shoulders. Ok, so what about the sun?! When I put my deck down, on the back of my deck was a sun centered right in the middle. Here was my Sun from the reading to help change my mood for the day. I just adore tarot and lenormand, so much! Quick answer: It will go well, start off slow and end on a happy note. My interpretation of the cards this morning were that a slow and healthy ending (coffin + tree) will bring much happiness or success (sun). I really like that the coffin was on the left and not the right, so it’s kinda out of the way or passing. My first reaction to the coffin + tree was “slow going” since the weekend just ended and it’s back to the grind today, Monday morning. The coffin is also in the reading itself, this gives me a strong sense that whatever “ending" is big or has been slow to end. Will be keeping that tucked behind my ear today to see if and how it plays out! Evening Reflection: My day did indeed start off really slow but did pick up in the afternoon when I started cleaning! It felt like a true Monday going from death to alive.